We’re proud to be a transparent company and show you the journey of our products made entirely from materials that have once BEEN something else. 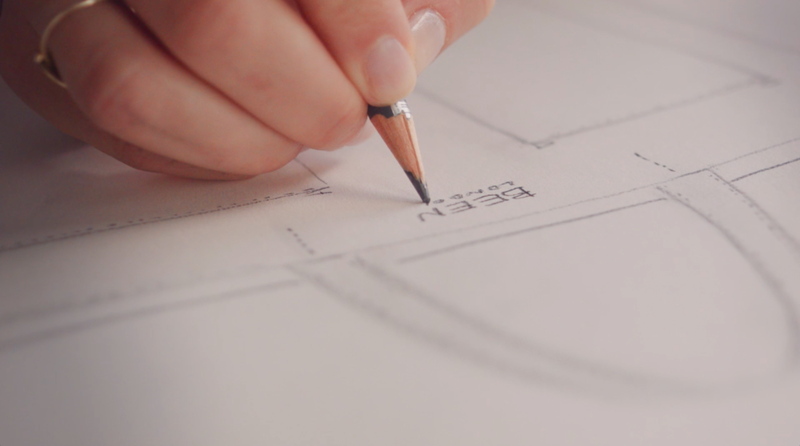 Our creative and design process focuses on two main areas: carefully selecting materials that would otherwise end up in landfill and making sustainable products that our customers would want to wear every day. Our beautiful materials define the story of our products. After a lot of research, we sourced our signature recycled leather made from offcuts and trimmings which normally end up in landfill. Sustainable claims: Unlike other similar materials, ours is made with no chemical adhesives using only high-pressure water. 95% of the water is also recycled in a closed-loop system. In our quest to get the best trimmings to match the quality and sustainable attributes to our recycled materials, we sourced the first ever recycled zips made by the world famous YKK. Sustainable claims: YKK NATULON® are made from recycled materials such as PET bottles using materials recycling technologies | Made from chemically recycled polyester (post consumer), it is perpetually recyclable. We make our bags by hand locally, where we live in East London. Our makers have over 30 years of experience working with top British brands. We are happy to support their small team who share our sustainable approach to design and production. We select the best packaging to match our carefully crafted products. They are 100% recycled and recyclable paper. And for delivery we work with a fantastic London-based social enterprise The Camden Society who train people with learning disabilities and take care of the logistics all the way to your doorstep. Our products are connecting to its DNA story by smart labels that you can scan with your phone and share our purpose with your friends and family to motivate them to support sustainable and ethical products. By now you know all the processes that made up your beautiful bag to become a reality. Now is your turn for trusting to be part our story and be part of your bag’s journey by simply claiming ownership below. You can share your STORY in Instagram with us tagging @been.london and joining the movement for #transparencyinfashion. Visit our website & thank you for your support.